The survey said there is consensus that the GST will be a major milestone for indirect tax reform in India. New Delhi: The complex taxation system needs a revamp through new laws, GST and DTC, as "bad taxes" like surcharges, cess and dividend distribution levy need to "eventually go" so as to boost investments as well as GDP growth, Economic Survey said on Wednesday. Tabled in Parliament a day before the Union Budget, 2014-15, the Survey said the tax/GDP ratio of the government must be obtained through a burden-sharing mechanism where "low rates apply on a broad swathe of the population" through effective enforcement mechanisms. Also, it said that "taxes clarified as 'bad' in public finance theory like cesses, surcharges, transaction taxes, and taxes imposed for ease of collection such as the dividend distribution tax, need to eventually go. Reducing tax related distortions can increase efficiency and fuel GDP growth". 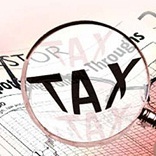 The Survey pointed out that India's complex tax system suffers from problems in both structures and administration and the tax regime is used to industrial policy where the state gives exemptions and rebates to certain economic activity. Referring to the Goods and Services Tax, the survey said there is consensus that the GST will be a major milestone for indirect tax reform in India. "Replacing all existing indirect taxes by the GST will create a national market, eliminate cascading taxes, and align taxation of imports and exports correctly. This will improve the competitiveness of production and export from India," it added. The implementation of a Central GST (CenGST) could be the first step towards the GST, the survey said. Just as the GST is a transformation of indirect taxes, it said, the Direct Taxes Code (DTC) is required as a clean modern replacement for the existing income tax law. The key objective must be a simplification with a clean conceptual core, and the removal of a large number of special cesses and exemptions that favour special interest groups. "The tax system must move away from industrial policy, with incentives for one activity or another, towards a simple framework," the document said. On tax administration, the survey said expert committees have identified problems with the taxation system, including retrospective amendment of laws, frequent amendments, especially after the executive is unable to establish a tax claim in courts, and issues with arbitrary tax claims. "This is coupled with long pendency of disputes and a taxation regime that is unfriendly to foreign investors," the survey said. The Doing Business Report 2014 ranks India at 158 out of 189 countries under the head 'paying taxes'.